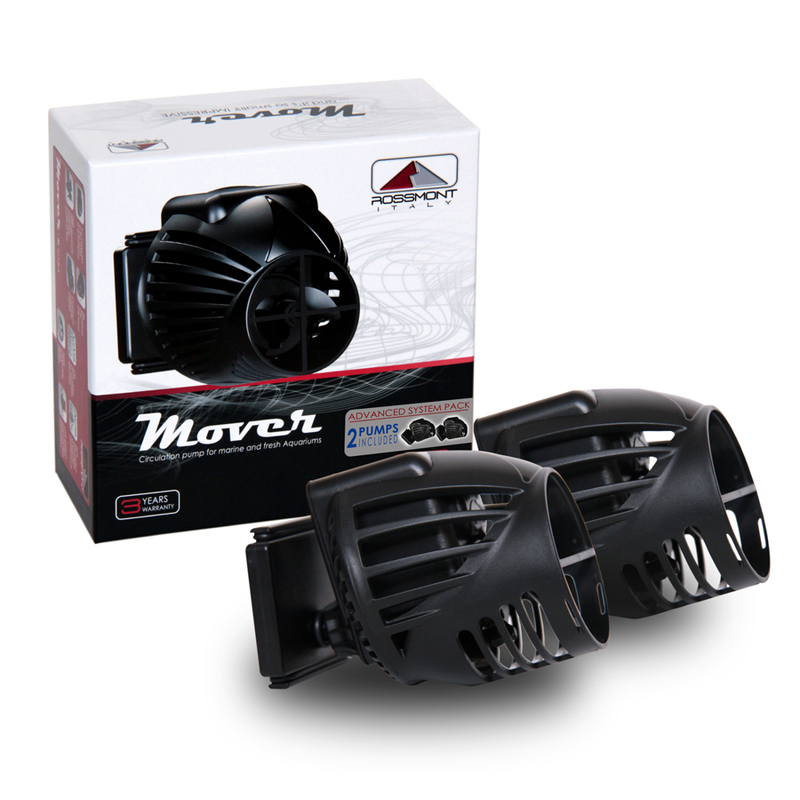 Rossmont Movers are Italian made “Movers” (AKA aquarium wavemaker pumps) that are small, silent, loaded with lots of features and they offer a 3 year warranty. What is not to love! Italy based Rossmont offers a unique water pump that quite possibly stands out above the rest, in the crowded space of water movers. 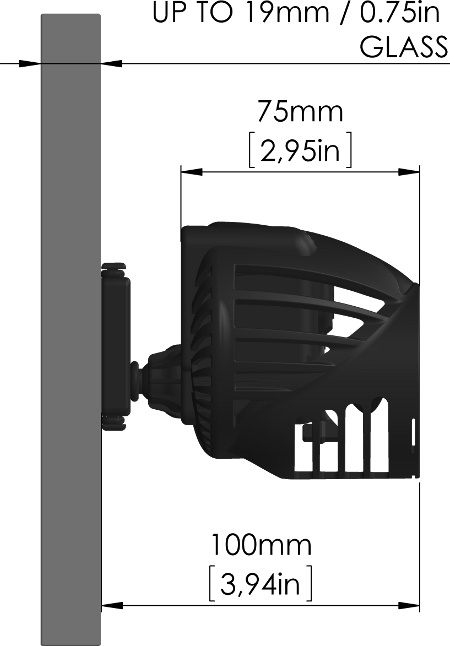 For example, according to the specs, the Rossmont Mover pump is the smallest pump in this category. But don’t let the size of the pump fool you, it boasts powerful flow rates all the while remaining nearly silent. You literally have to watch the impeller to be sure its running because you cannot hear it. 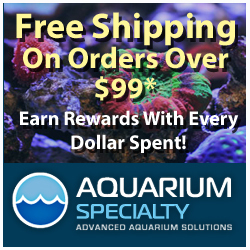 I know 1st hand because I have been using one on a 57 gallon setup for about 2 months now. 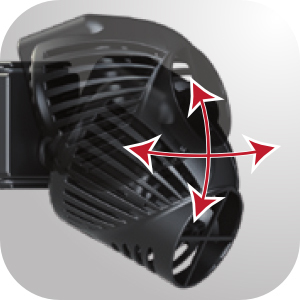 While having all the usual features in this pump category like fish guards and magnetic tank mounts, Rossmont takes it a step further with unique accessories like a concentrator nozzle changing the pumps output from 120 degrees down to 60. An included maintenance brush makes cleanup a snap and optional magnet extensions can be used to boost the tank wall thickness requirements. All parts and accessories are also available for sale, so if you break an impeller or bust the cover you don’t have to buy a whole new pump to get up and running again. And the best part is that the parts are available stateside. If something does happen to your Mover pump, you can rest easy knowing the product line comes with a 3 year warranty. The engineering used to create these pumps is part of what makes them unique. Using a set of windows and openings you create what Rossmont has dubbed the Auto Cleaning System, keeping algae and calcium deposits from finding their way onto the internals of the pump. Another impressive feature is the highly technical materials and external contact points they are able to absorb and isolate vibration. They achieve this level of silence with their own patented process called VAS or Vibration Absorbing System. The pump in my office is virtually silent. The Rossmont Mover is available in 2 body sizes and 4 flow rates ranging from 900gph up to 4100gph. The prices start at a competitive $49.90. 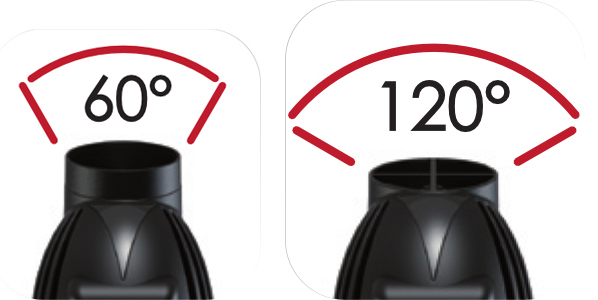 Rossmont Advanced 2 pack of pumps are also available, allowing you to save a few bucks if you plan on running multiple pumps on your system. For more information on Rossmont Movers visit Rossmont’s Website. In the USA, Rossmont pumps are distributed by ClearChoice Distribution.